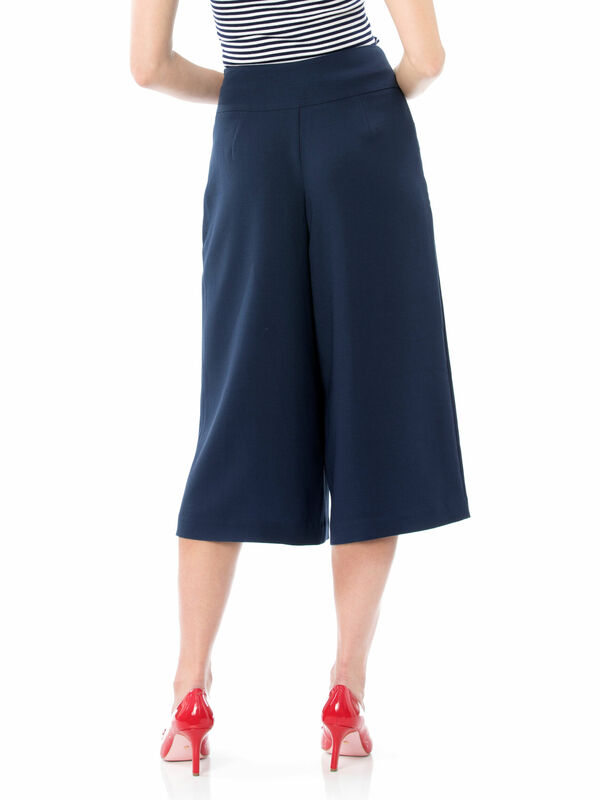 Cece Culottes https://www.review-australia.com/asia/cece-culottes-navy/RE19PA026.RENVY009.html A new classic, the Cece Culottes are as chic as they are unique. 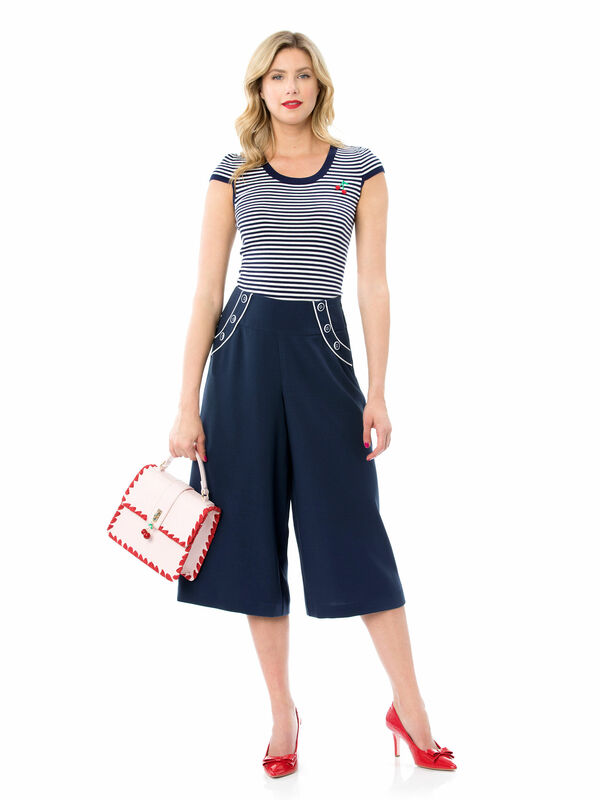 The wide leg cropped culotte style makes a fabulous alternative to capri pants and skirts throughout the seasons. In a nautical navy with white trim, they'll go with all your bright or neutral essentials. Pair with a heel for extra flair.